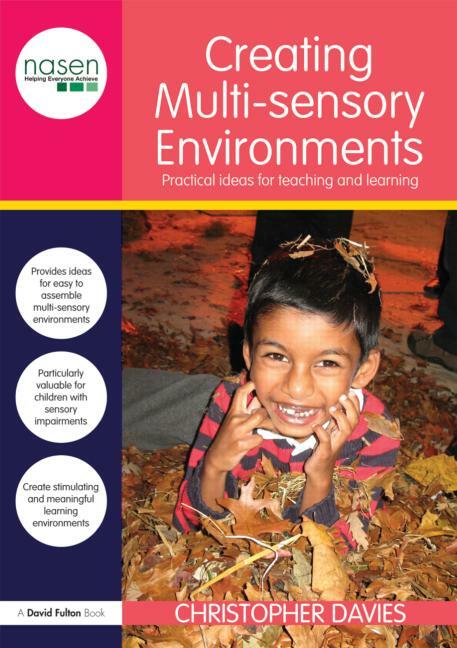 Multi-sensory environments in the classroom provide a wealth of stimulating learning experiences for all young children whose senses are still under development. can be set up in your classroom or school hall in just a matter of minutes or be a semi-permanent feature in a small area of the classroom, convenient for use at any given moment. Although these activities will be of particular value for children with sensory impairments, they will also provide stimulating learning environments, as promoted in the themes and principles of the Early Years Foundation Stage guidance. Theory and background to multi-sensory learning is provided to enable you to adapt the suggested scenarios according to the needs of individual learners. This practical and easy to use book is an essential companion for busy classroom practitioners wanting to create a stimulating and meaningful learning environment. Christopher Davies is Artistic Director of Bamboozle Theatre Company, which runs multi-sensory theatre arts residencies and workshops for children who have a range of SEN.